The year’s most anticipated shopping weekend is in the rear-view and for the first time ever, browsing on mobile devices overtook desktop viewing. IBM notes that around 57 percent of online shopping traffic originated from a mobile device over the Thanksgiving weekend. It should also come as little surprise that consumers now prefer to do their shopping online versus in-store albeit just barely. According to data from Prosper Insights & Analytics, nearly 102 million people said they shopped in stores over the busy holiday shopping weekend compared to the more than 103 million that shopped online. As you’d expect, millions opted to do their buying online to avoid large crowds, save time and to seek out better bargains. 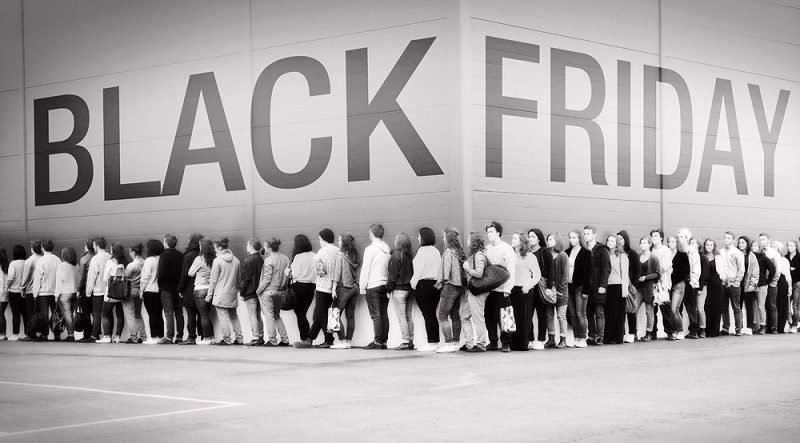 In total, more than 151 million people said they shopped either in stores and / or online from Black Friday through yesterday with the average person having spent just shy of $300 ($299.56, to be exact). Despite more people shopping online this year, consumers that ventured out into the madness certainly made it worth the hassle as ShopperTrak estimates buyers spent a combined $12.1 billion on Thanksgiving Day and Black Friday. Conversely, consumers shelled out roughly $4.45 billion online during the same two-day period according to Adobe. The most popular items over the weekend included the iPad Air 2, Microsoft’s Xbox One, Sony’s PlayStation 4 and Samsung 4K television sets. Did you do any shopping at retail or online over the past three days? If so, let us know your preferred method as well as what sweet deals you were able to score.